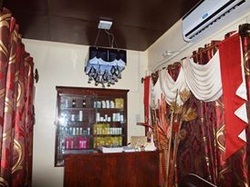 "Retreat to a Luxurious Thai Spa Experience at Affordable Costs"
ULTRA DIAMOND PEEL FACE Php150 ONLY!!! THAI FACIAL SPA Php150 ONLY!! !